A serious collision shut the A427 at Oundle and caused long delays on the A605. Station Road was closed in both directions following a crash involving a motorcycle this morning, Tuesday January 3. 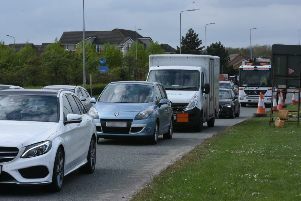 Traffic could access Station Road from the A605 and there were queues on the A605 back to Elmington. The road has now reopened and there were no serious injuries to those involved.